Harry Burns (1874-1929) – Temple Lodge, No.33, Duncan, B.C. 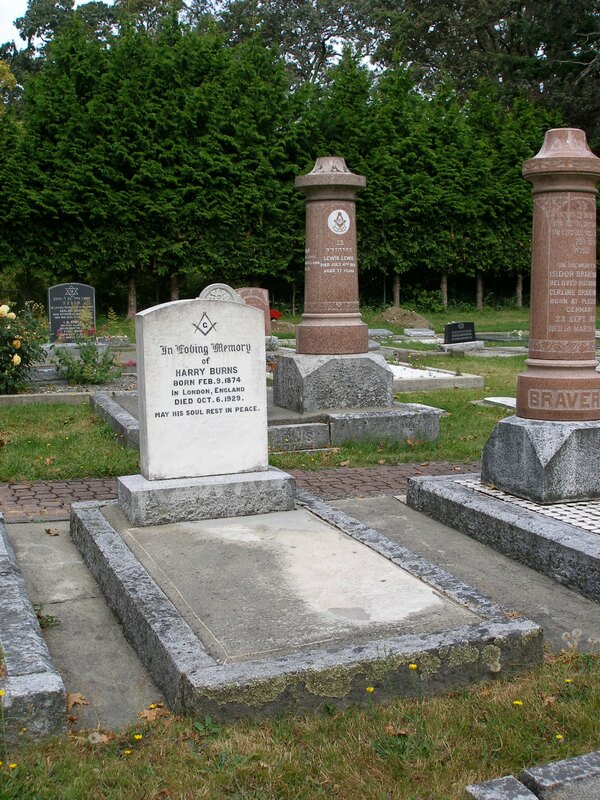 As part of our Vancouver Island Masonic History project, here is a page on Harry Burns (9 February 1874 – 6 October 1929), a member of United Services Lodge, No.24, who is buried in the Victoria Jewish Cemetery. 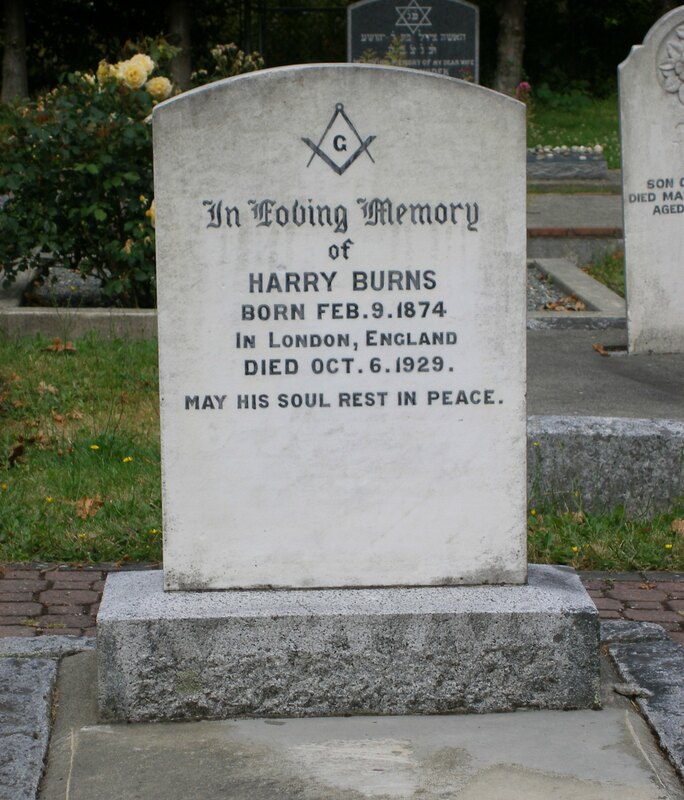 Harry Burns is buried in Victoria Jewish Cemetery. Harry Burns grave, Victoria Jewish cemetery, Victoria, B.C. Harry Burns grave inscription, Victoria Jewish cemetery, Victoria, B.C.